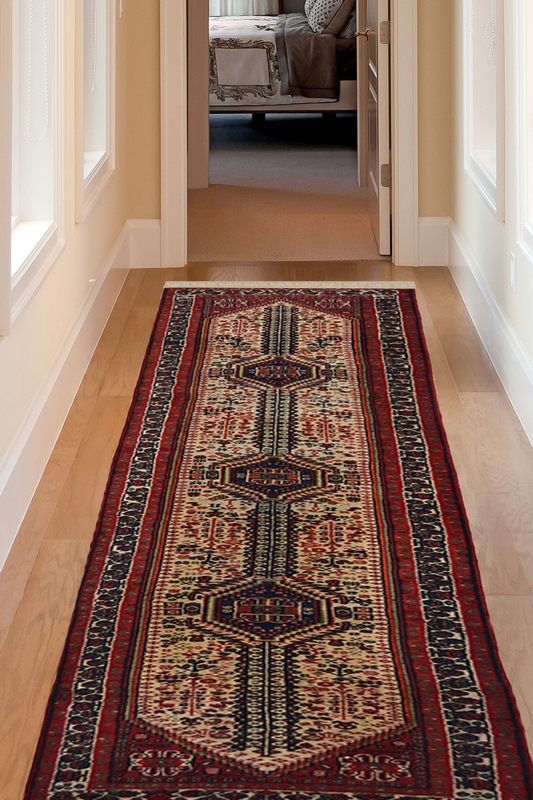 The vintage look and warm feel of this runner make it stand in the category of the famous rugs from India. Beautiful intricate design, quality material, reasonable prices, and hand-knotted craftsmanship make this afghan runner an irresistible choice for our every customer. Place this beautiful kilim runner in your home and give a statement to your floor. This area runner is woven in finest quality of wool and cotton material. The ground of this carpet contains diamond design with bold motifs.